Techland has grown not only in external growth but also internally in 2017. The number of employees increased by 30% compared to last year, and various welfare systems were set up to make a good company. Representative company activity of Techland TOP 3! ① All employees physical activity! Every month, every employee gets physical training. ② Two day trip by all employees! Techland travels with all my employees once a year. 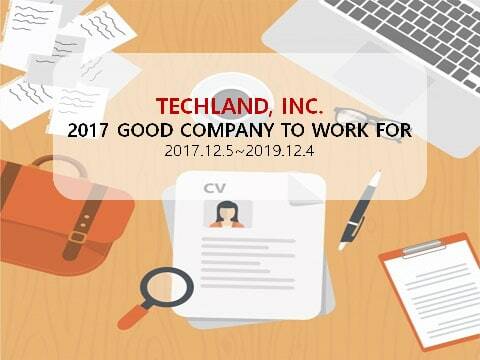 Techland believes that ‘ individuals and companies grow together ‘ and always support individual growth. also will always strive to increase every emplyee’s ability to work and strive become a good company.